Outer space has long been a playground for the imagination. I remember the moment I realized there were more stars than I could see. I was sitting on a beach in Lombok, Indonesia with my grandmother, eating our fill of curried shrimp that were taken that day from the same sea gently nudging our feet. As the sun fully set, dark blue transitioned to black, and a tapestry emerged above us and revealed more light than darkness. The night sky swirled in hues of white, daring me to consider how small I was before whole galaxies. Space conjures all sorts of revelations for the spectator—wonder, thrill, even despair or unimportance—by presenting a fascinating beyond, one that we can’t quite grasp but leaves a deep mark, like an asteroid colliding with our lives and leaving its imprint. In the current news cycle of stale shouting matches which leave many in frustration and hurt, life on earth often feels suffocating, and the cosmos provides the artist an unknown which can inspire new possibilities or perspectives for themselves and for the listener. Outer space has long been a playground for the imagination. Think of Ray Bradbury in literature or H.G. Wells in radio and film. Space has also inspired artists throughout the history of hip-hop, influencing classic efforts like "Planet Rock" or OutKast’s ATLiens. More recently, Logic’s sophomore album The Incredible True Story turned to space for its imaginative possibilities. In the Quentin Tarantino-inspired sci-fi, two voyagers play The Incredible True Story as their “road trip” music. The skits on the album are somewhat corny—Logic ends up being revealed as a savior of the Earth and the founder of the new planet &apos;Paradise’ by following his dreams, somehow—but the concept is still significant and fun. For Logic, space represents a place to play with the limits of his imagination, and he processes real fear in the storyline. The possibilities of a nuclear attack, environmental collapse, and the subsequent deterioration of society are terrifying (and seemingly closer now than in 2015), and the 28-year-old Def Jam MC explores what it would mean to look for a new home for humanity after the Earth is uninhabitable. Logic keeps one foot in reality and lets the other wander into an interstellar imagination to juxtapose what a dystopian future means for our choices in the present. 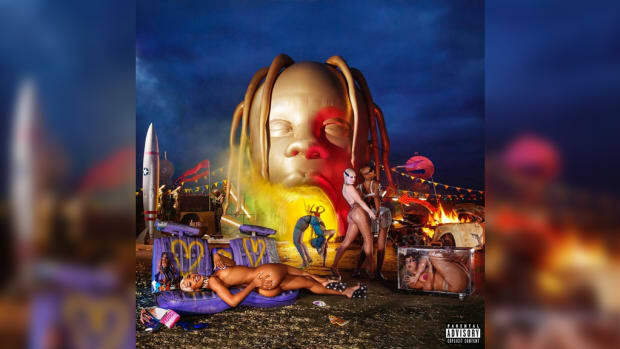 In the album trailer tied to the track “STARGAZING,” Travis introduces an outer space aesthetic to house his nostalgia about the past. He wanders through a dystopian galaxy of destruction as planets float past and wolves stalk the icy tundra. 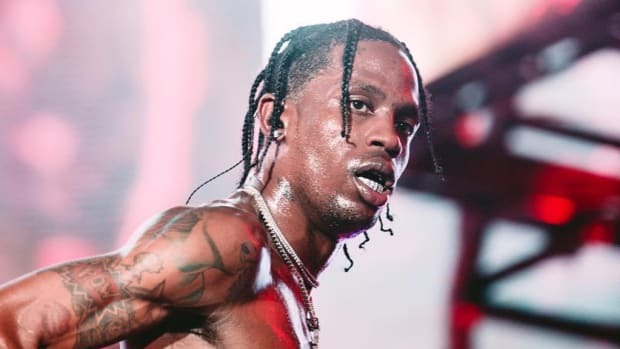 Travis’ face remains unflinching as he wanders through the ruins of AstroWorld while meteors fly by, all of which suggests his perseverance through the pain of losing a part of his youth. Space’s cold, impersonal aura fuels Travis’ aesthetic as he processes the loss of a staple symbol of his childhood. 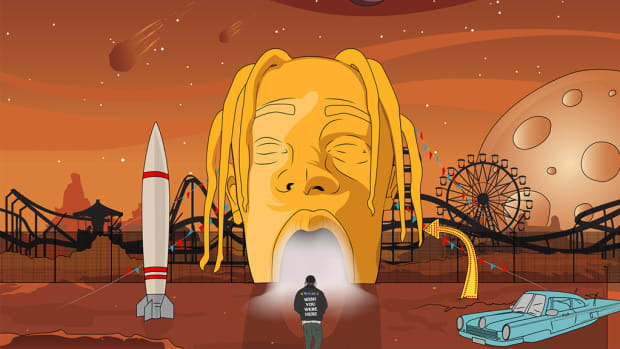 Something that brought joy to his community was taken away for profit, and Travis uses a space-inspired aesthetic to show the type of impersonal, faceless theft represented in AstroWorld’s closing. The last days of warmth are a rush to sweep up a few more experiences into those last careless nights with friends or a lover, and Bas writes that emotion into the picture in the hook: “All these spaceships and rockets / Got me feelin’ high / On my spaceship I’m rockin’ / Fall into the sky.” There is both a speed and slowness to the last days of summer, like a spaceship which speeds into the outer reaches of the universe but for all its hurry makes little progress through the expanse. In searching for the emotion of summer, Bas turns to space and finds the perfect vehicle to bring us into his high. 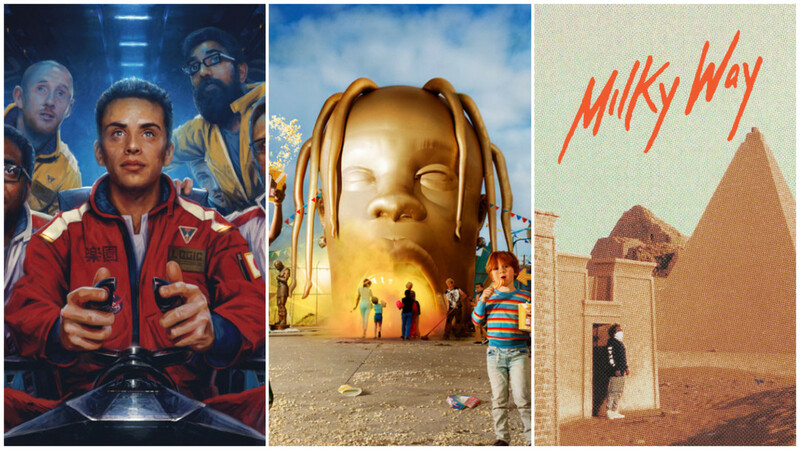 Rap embraces the darkness of outer space as a creative haven, and the results for Logic, Travis Scott, and Bas are wonderful in their respective regards. Space remains a place to test human limits, to suppose what may have been or might be. These artists invite us on an interstellar voyage, encouraging us to see our earthly moments from a higher perspective. 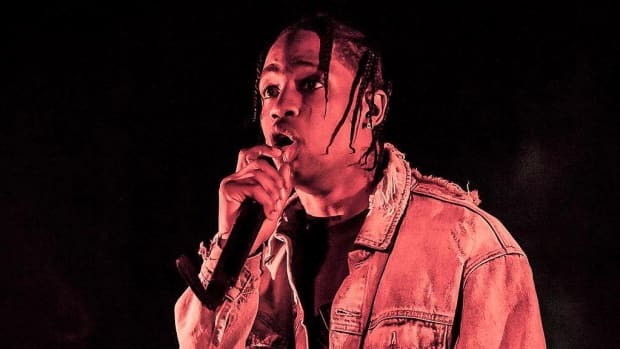 If Travis Scott has mastered anything, it's the stage. And it's made him one of hip-hop's biggest stars. Love at the top is fake and fragile. 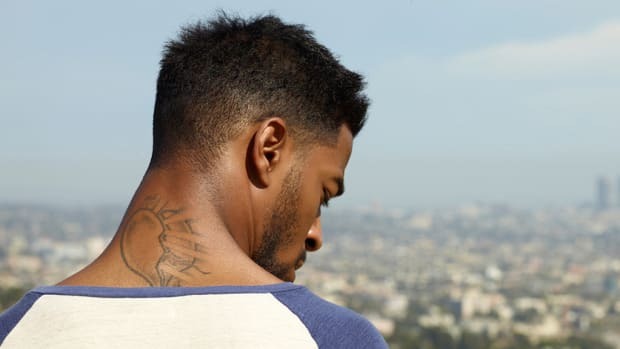 “That’s the trick of great producers like Dr. Dre or Kanye [West]. 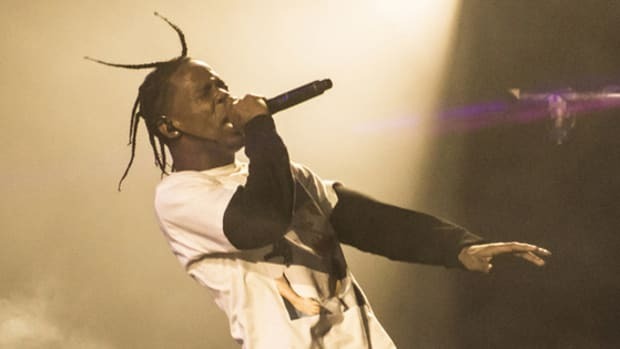 It’s not that they’re better at making music than other people..."
Mike Dean on Travis Scott: "He's Still Finding Himself as an Artist"
No artist can afford to stop growing, even after they’ve struck gold. 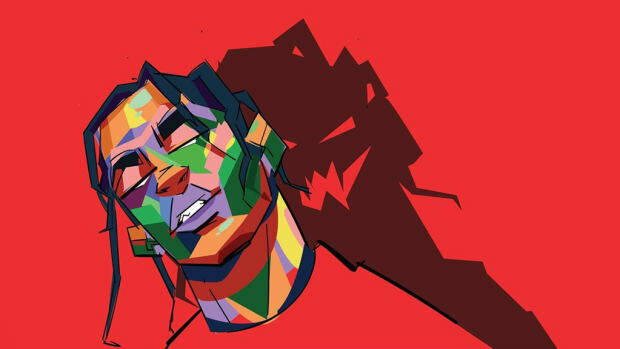 What Travis truly captures on 'ASTROWORLD' is the spirit of our times—longing for the thrill of the ride but dreading the giant drop.